On Friday, March 3rd, we held our annual Red Carpet Dance for 4th and 5th graders. Students came dressed to impress and had a fantastic time. There was good food, great music, and lots and lots of dancing. Thank you to all those who helped put the event together. 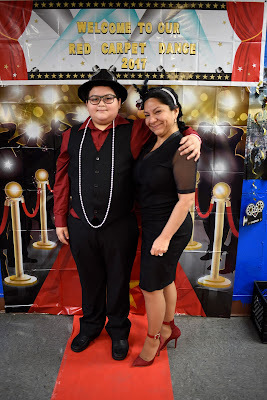 Click on the photo above of Ms. Moncayo and Manny to see more photos.